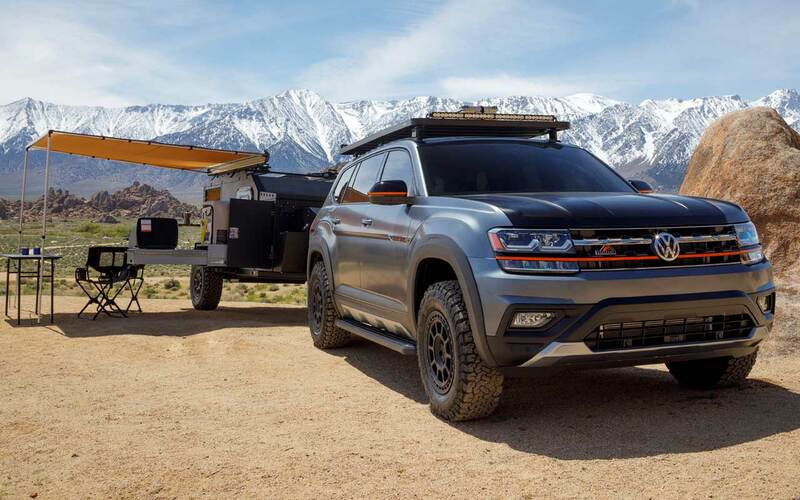 VW will be showcasing a new modified Atlas at the New York Auto show that specifically targets outdoor enthusiasts. An Atlas SEL has been refinished in a mate black/gray paint with orange accents. 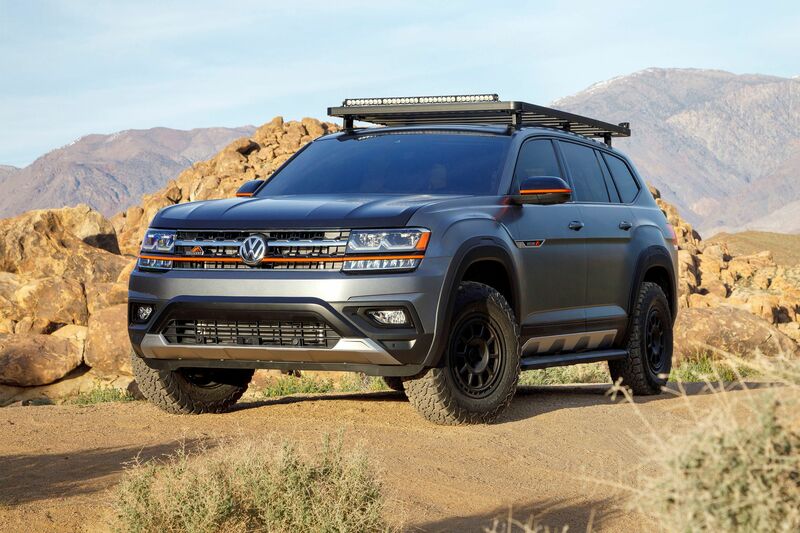 It also receives a 1.5 inch lift, upsized all terrain tires and a body kit by Air Design. To complete the rugged look LED light bars have been placed front and back and there is a Runner Slim Line rack on the roof.